The spicy scent, delightful taste of haze and an intense psychedelic effect are the main features of this strain. It also has great mould resistance and can reach a huge size, if cultivated outdoors, in good soil and sunny environment. It is not unusual for it to reach 13 feet high, in the right conditions, with production of up to 1500g of flowers coated with shinny resin. 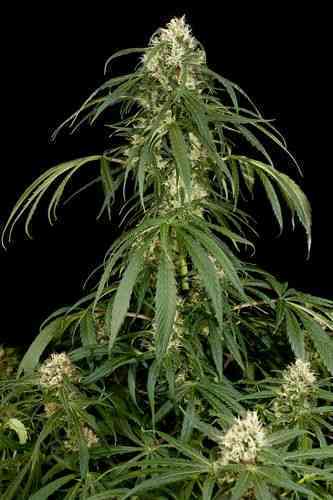 Like all great sativa producers, it needs a lot of nutrients, particularly iron, zinc, magnesium and nitrogen. A pH under 6.3 for healthy development it is also needed. 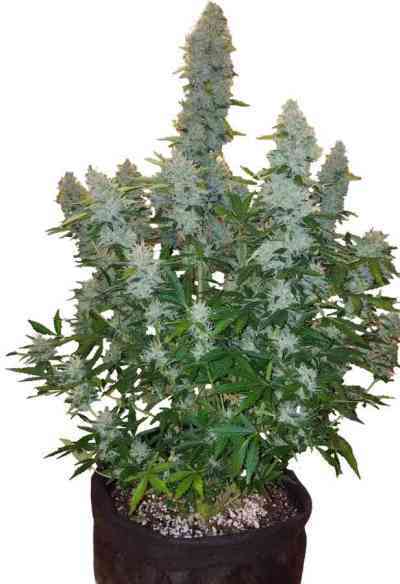 It is suitable for SCROG or for being tied and bent outdoors which is sometimes the only option to camouflage it properly, unless your neighbours are friendly plant lovers. Very high strength, long duration, stimulates creativity and appetite, this strain is appropriate for disorders such as anorexia.